My name is Alice Feng. I am from Shanghai, China. I have educational background both in Australia and Europe for almost 2.5 years. My major is International Business. I have several internships in Asian Company. 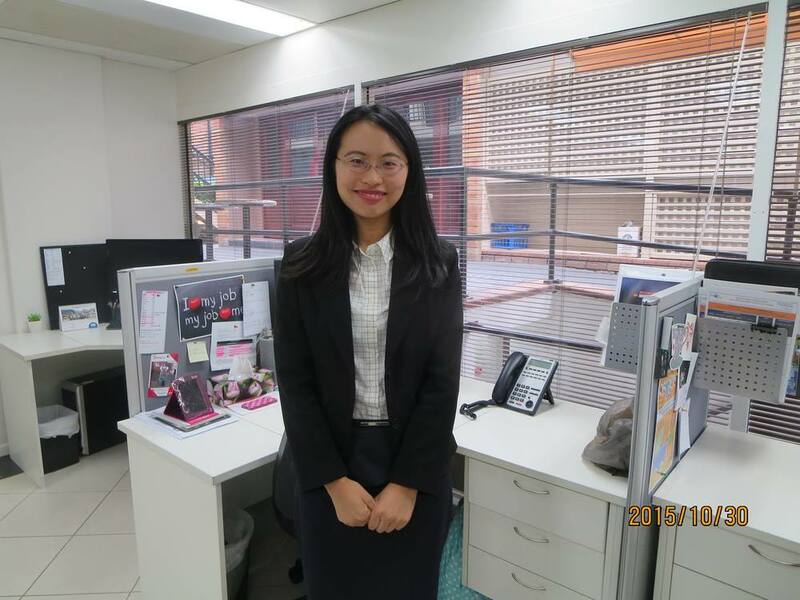 In fact, I have international background; however, this is my first formal internship in a company in Australia and I still have some challenges. But I am very thankful I can have this opportunity that I have experienced extreme culture difference in a western company as well as huge difference between a student in university and working adult. I would like to share this experience that can provide other interns some suggestions. In the university, I must finish all assignments before the due date, however, in the working place, I should firstly solve the urgent ones, and it is ok to leave the routine ones to the next day. And in Asian company I experienced I just need to follow supervisor’s step, finish the task the supervisor asks for. But here, I should take initiative to do the tasks and express my views on some decision. My supervisor and other colleagues always ask me “what do you think”? When I was first asked this I felt scared, because I do not know whether my answer is good or not. But now, I realize no idea is bad, all ideas should be valued. Now I am braver to express my views. You will be regarded as a positive and enthusiastic intern if you take initiative to do something here. It also can be seen during lunch time. During lunch time, I can take initiative to ask politely whether you can have lunch with colleagues instead of waiting colleagues to invite me. In here, you can talk with your colleagues freely and there is no need to think whether I am just junior or senior, but in my previous internship experience, I feel that the definition of a good junior intern is that you just need to be quiet and do your tasks. If you are talkative, others would think it was impolite. And the lunch time is flexible; you can choose one hour between 12pm-2pm, however in my previous experience, we should have lunch during fixed time. One day I was sick but persistently went to work, because in my culture you are regarded as dedicated and hardworking employee/intern when you feel unwell but still go to work. However, my supervisor told me very seriously: “You should not come today.” The reason might be that I can not do the work very efficiently when I am sick. It is not good for me but also not good for the work. And you can make mistakes during working and do not need to push yourself to get to the prefect when it is the first time which is different from student life. I am used to push myself to behave perfectly all the time. In the beginning of my internship, I was very sensitive to my supervisor’s comments and mood rather than focusing the work. My supervisor told me: Do not assume her a friend and I should assume her as a supervisor. Dear Interns, the role of the supervisor is to train you and help you in the working place during the internship. 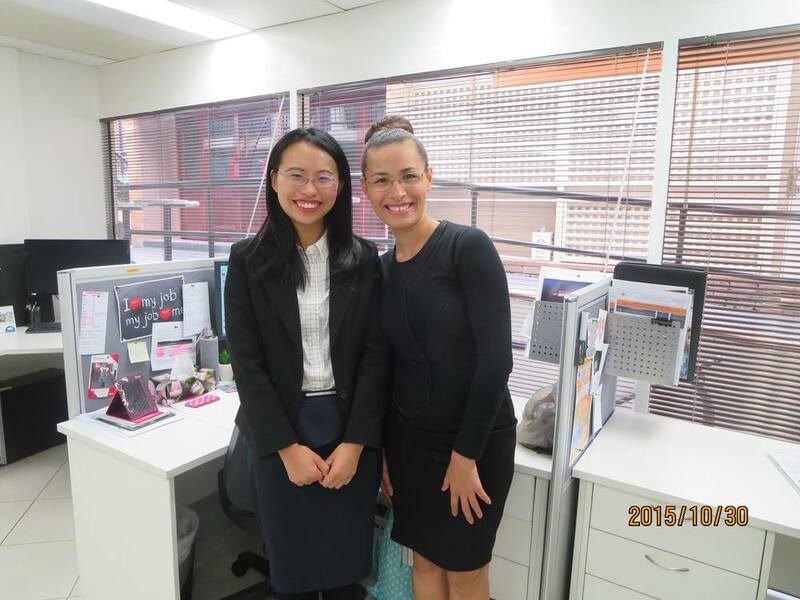 And the aim of the internship is to make the foundations to the future career, not just making friends. After work, almost all my colleagues go to gym to have an exercise, now I also have the habit to go to Yoga class which I think this is the good way to balance work and life. For the overdue work, in China, it is too normal to work overtime (until 8pm, 9pm), but in Australia there is no such kind of culture. Working overtime means you are inefficient. I am very happy to see the difference in Asian and western company as well as student and working life which can open my mind and know how to behave in my future career. Published on November 03, 2015 by AI.